The second of the six 'Barsetshire Novels, ' is Trollope's most popular work and one of the classics of English fiction. Here Trollope continues the story of Mr. Harding and his daughter Eleanor, adding to his cast of characters that oily symbol of progress Mr. Slope, the hen-pecked Dr. Proudie, and the amiable and breezy Stanhope family. The central questions of this moral comedy-Who will be warden? Who will be dean? Who will marry Eleanor? 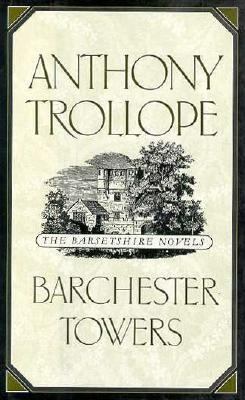 - are skillfully handled with the subtlety of ironic observation that had won Trollope such an appreciative readership.Trollope, Anthony is the author of 'Barchester Towers' with ISBN 9780195208139 and ISBN 0195208137.